In a hilly or mountainous region, sometimes circumstances call for unique solutions in home improvement. We are all too familiar with the creativity required for construction projects in Charlottesville! For new construction or home renovation, earthwork and excavating often comprises much of the work. 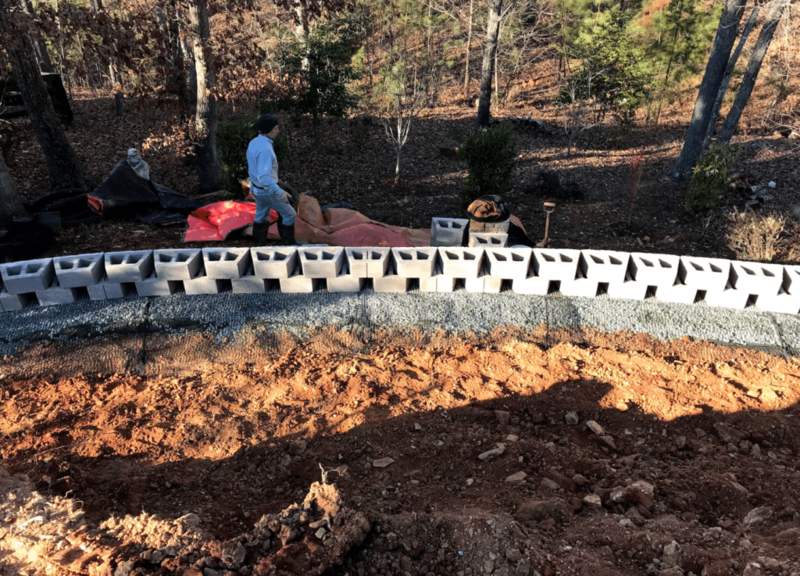 Homeowners look to Central Virginia retaining wall experts like Reynolds Contracting to tackle the biggest obstacles. On this particular project, the backyard has a really steep slope. Not uncommon for this area! We created a couple of terraces to make the slope into a gradual, tiered grade. 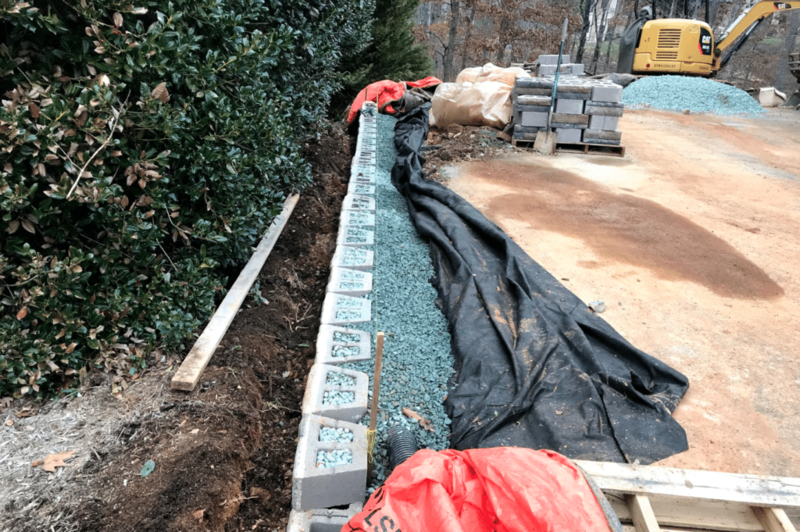 For each tier, a retaining wall holds the dirt in place. We filled behind the wall with gravel so water has somewhere to go and doesn’t blow out the wall. Additionally, between the gravel and dirt, we installed a non-woven fabric (almost like felt), which allows water to pass through the wall, but not the dirt. Water then flows into a perforated pipe and out through holes at the bottom of the wall, on the other side. What a tremendous difference this solution made to this backyard! The property went from a steep, unusable grade to a beautiful, practical landscape. For a home that began with less-than-desirable terrain, the finish product looks great and will last for many years. 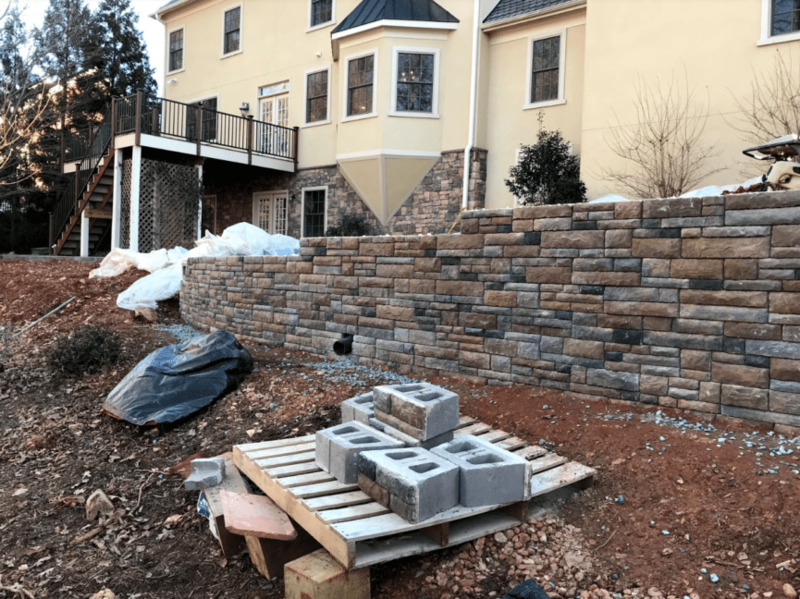 Make sure you use Reynolds Contracting, the Central Virginia retaining wall experts, for a job well done! Contact us 434-293-6724 today for an estimate.